5 Reasons why Singapore Airlines’ Economy is the Best! 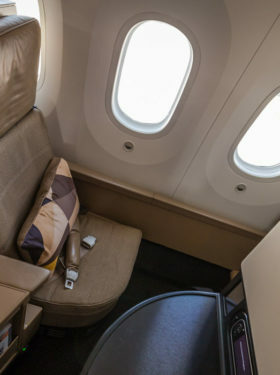 While other “Premium Airlines” start using super thin economy seats even on their longhaul aircraft just to fit more seat rows in their planes, Singapore Airlines follows a different approach: even without status, longer flights in Economy can be quite decent. Where’s the difference though? Here are my 5 reasons, why Singapore Airlines’ Economy Class is the best in the industry! 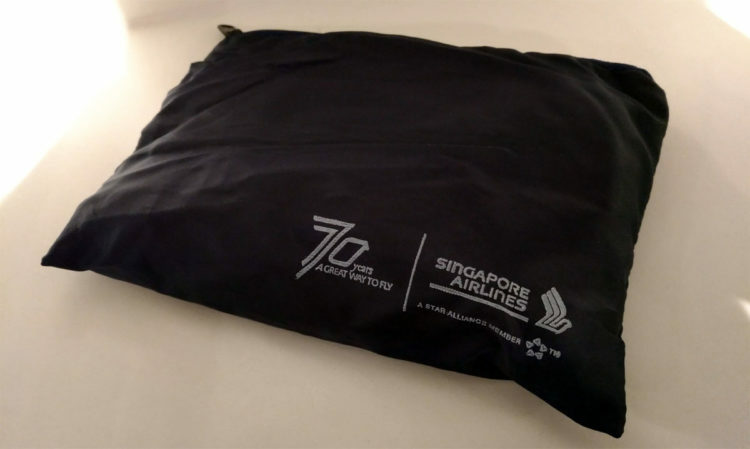 In Business and First normal, but quite rare in Economy: Singapore Airlines hands out small Amenity Kits to every economy class passenger on longhaul flights with the most important items you need (toothpaste, toothbrush, socks). Sure, it’s not the most luxurious kit out there; but better than nothing, which is what most airlines sadly settle for nowadays. Once normal, nowadays a rare sight: Singapore Airlines still hands out hot towels after start and before landing, so you can “freshen up” twice during the flight. 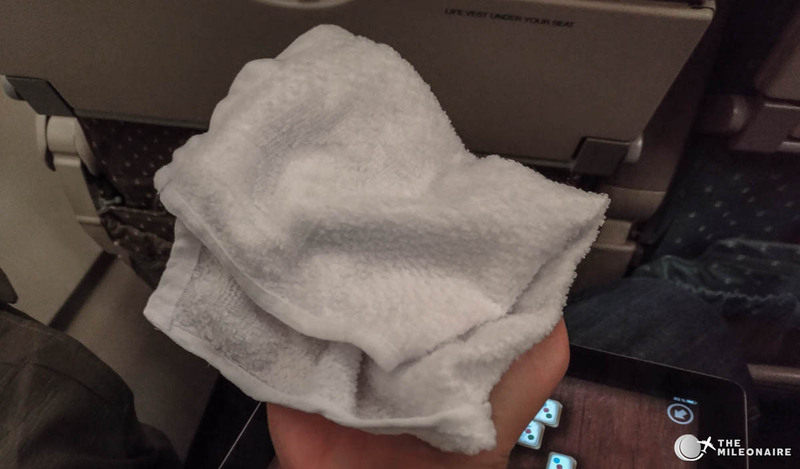 Afterwards, one of the cabin staff comes around to collect them again – and this happens directly after, so you don’t have to wait with a wet towel in your hand for 15 minutes. Once again: a small detail, but these things do make a difference. Breakfast during my Singapore Airlines flight: not just a dry sandwich, but a full-blown second meal service. 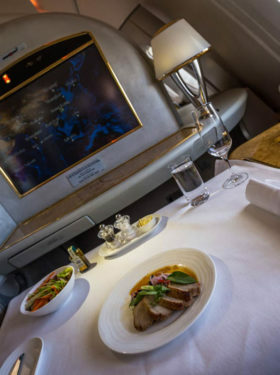 When it comes to food in Economy, Singapore Airlines really shines: first of all, every passenger gets a menu card for the specific flight, where you can check what food choices you’ll have during the flight (feels a bit like Business Class). The food service itself is pretty special: while most European and American carriers just give you a small snack (e.g. 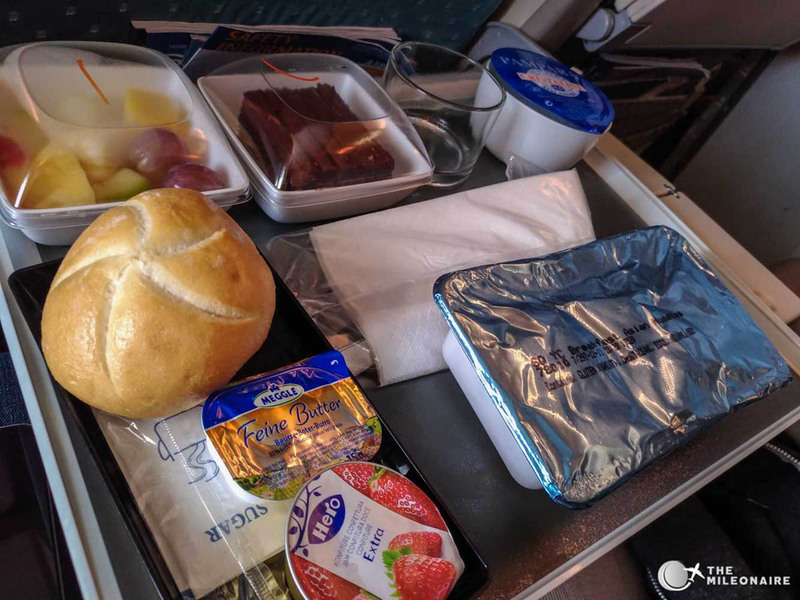 a sandwich) before landing, Singapore Airlines does a whole second meal service with a tray full of food. And: the choices have tasted quite well for Economy! 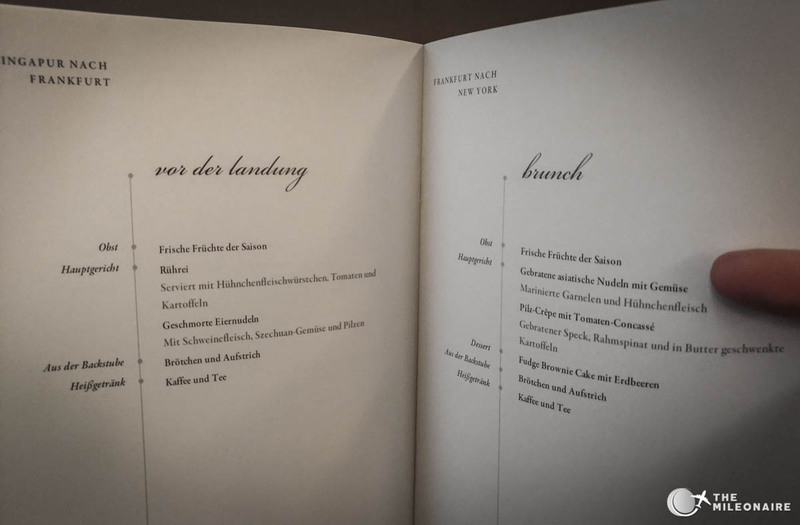 A taste of Business Class: the printed menus that every Economy Class passenger gets when flying Singapore Airlines. A trademark of Singapore Airlines: the fancy uniforms of the stewardesses, that even smile at you as cardboard cutouts in front of Singapore’s lounges and check-in counters. Their true charme isn’t the uniform though, it’s rather the exceptional level of service that Singapore Airlines offers. While other airline crews (hello US carriers) lack basic service skills and often act pretty rude, Singapore Airlines has an outstanding, personal service – and always a smile on the face. Hmmmm: the famous “Singapore Sling” of Singapore Airlines! My personal highlight of every Singapore Airlines flight, no matter which cabin I’m travelling in: the trademark „Singapore Sling“ cocktail that is being offered in all cabin classes. 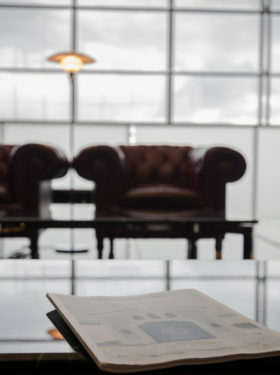 Yes, I know – Longdrinks are being served in other airlines’ economy classes as well. I want to point out something else though: today, flying economy class for airlines is all about being more efficient, and squeezing more passengers into more rows with less space for everyone. At some point, every economy class will feel the same, with the same bad leg space and the same uncomfortable seats. 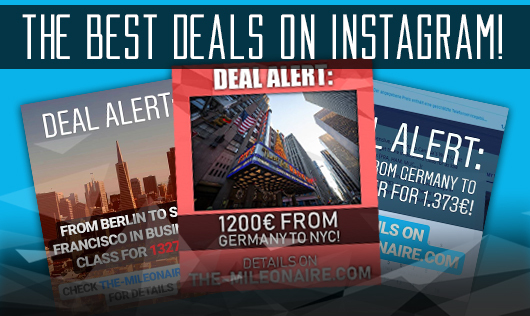 If airlines proactively do something, to make even an economy class flight feel special, it is definitely something worth highlighting. 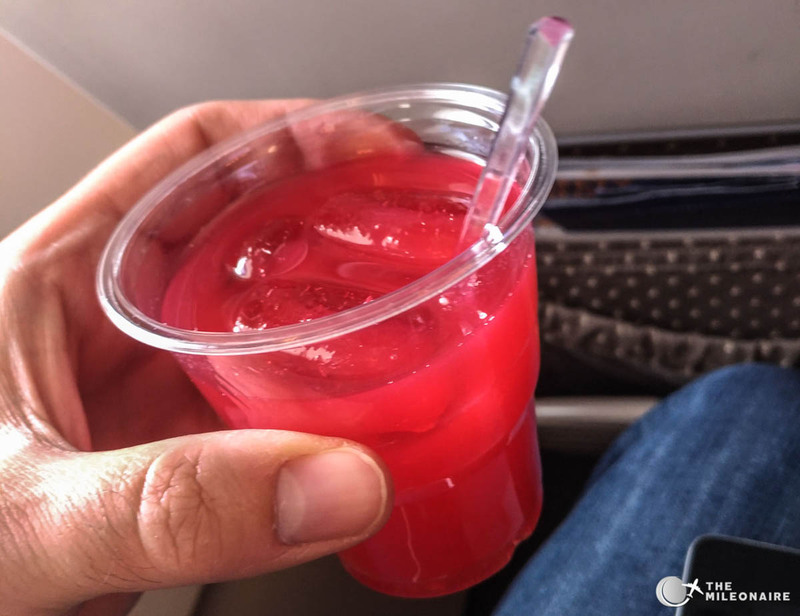 Having a Singapore Sling on your way to your vacation in Singapore is a great experience, and it might even be something you’ll remember – making a simple flight more memorable.